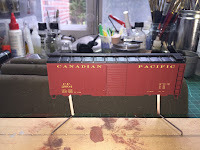 One of the things I really enjoy about model railroading is testing my abilities and testing myself. I keep seeing modellers on various forums saying they are afraid to try this or that for fear of either damaging or ruining something or just failing at it. I decided early on in my modelling that if I wanted to try something that was new for me I would. with no fear or favour. 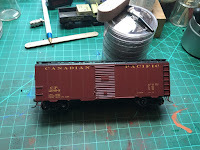 As an example, when I finally decided to try my first hard-wire DCC decoder install, I chose to install it in one of my smallest locos, an 00 gauge Hornby Terrier. My thinking being that if I could do a successful hardwire install in such a small loco then any other installs would be a breeze. 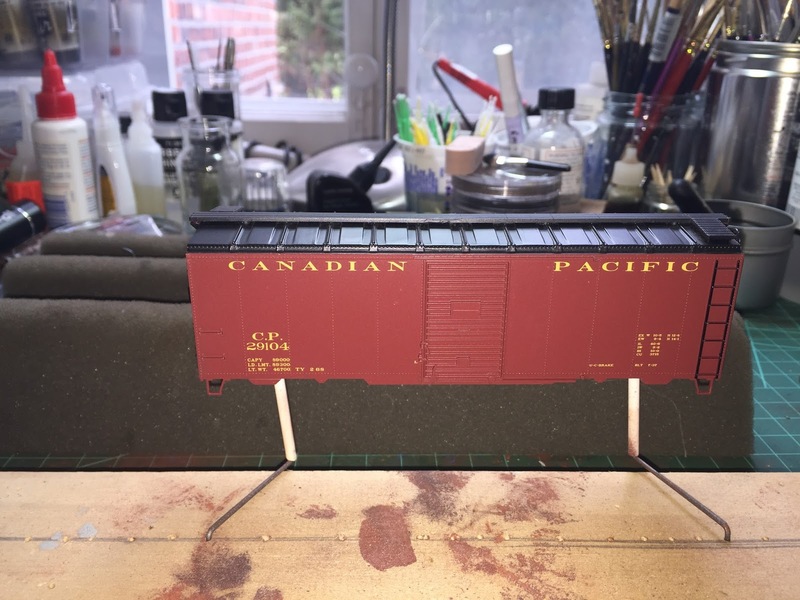 Well it was successful, the loco ran perfectly and my self-confidence rose way up.... and I have never, ever avoided a hard-wire install since then. With that sense of self-testing and experimentation in mind I'm always open to trying new products and techniques and since I really enjoy weathering models I tend to gravitate to new products. 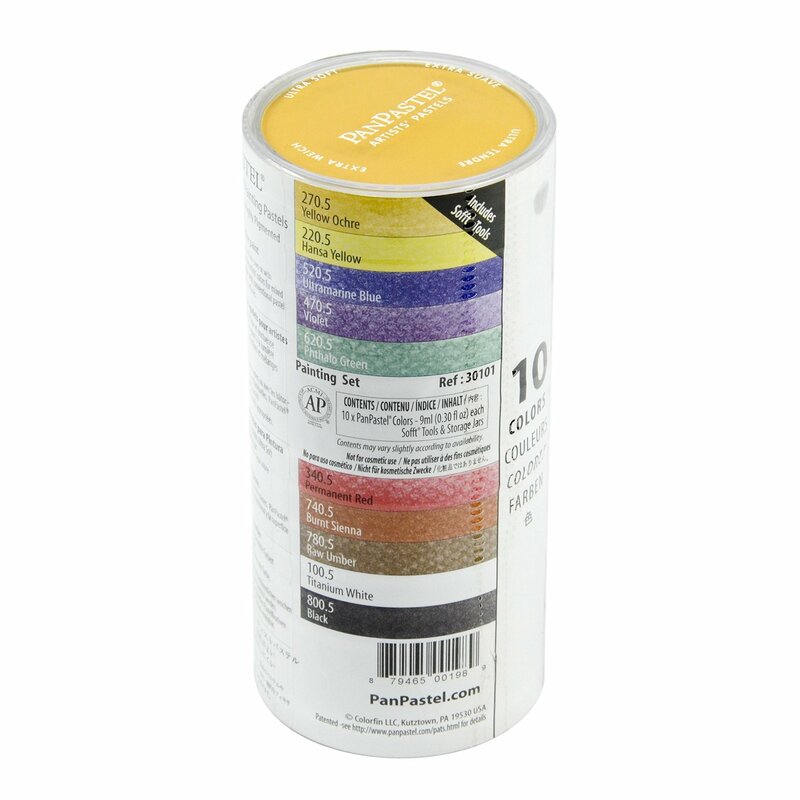 Over the past few months I've heard a number of modellers on various forums talking very highly about Pan Pastels. I first started using pastels in my armour-modelling days back in the 1970s, no dedicated weathering powders like Bragdons or Migs back then. 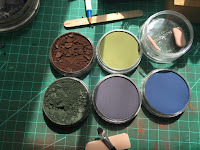 In recent years my preferred powder has been Bragdons, which I believe is a very good product and it holds well to the plastics, resin and wood of todays models. My curiosity got the better of me and I ordered some Pan Pastels from my local art-store. This is one set I ordered...it is a 10-colour set consisting of the following colours.... Titanium White, Hansa Yellow, Yellow Ochre, Permanent Red, Violet, Ultramarine Blue, Phthalo Green, Burnt Sienna, Raw Umber, Black and some soft applicators....all in shallow screw together plastic pans. 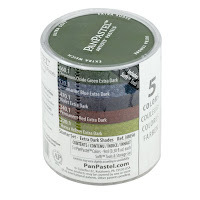 I also ordered this 5-pack of Extra-Dark Colours which consists of the following colours..Oxide Green Extra Dark, Ultramarine Blue Extra Dark, Violet Extra Dark, Permanent Red Extra Dark, Hansa Yellow Extra Dark. 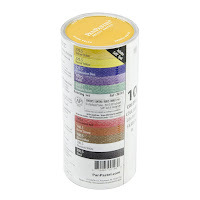 As you can see from the photos there are a few colours that either will never be used or used very rarely. 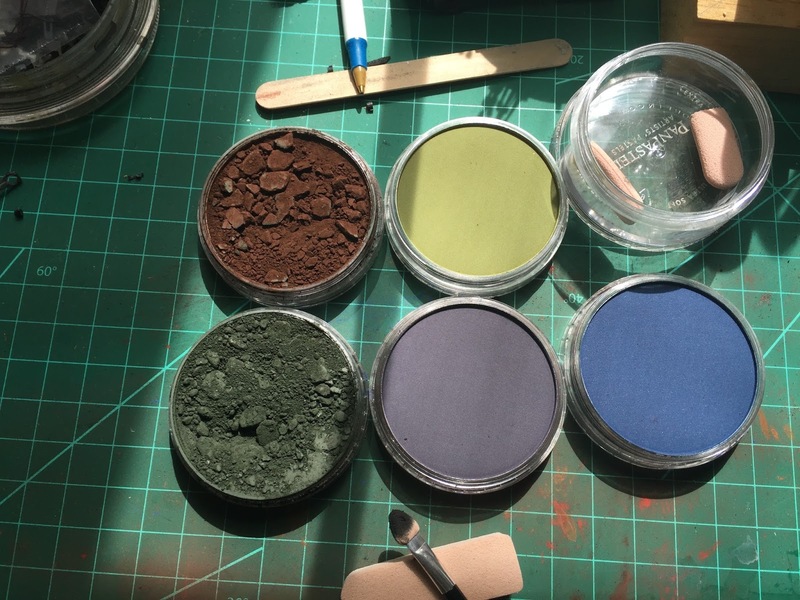 You can order the colours individually and I believe there is a 5-pack called Dark Earth Colours that would be excellent for weathering. This is an Athearn 40ft. boxcar with Youngstown doors. First steps were to remove the truck/wheel assemblies and the couplers and then spray the body and the trucks with DullCote. I always do this as a precursor so as to give a bit of "tooth" to the plastic for the subsequent layers of paint and/or powders to get a good grip. It's especially helpful with the trucks. 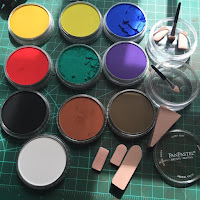 Then, using this small handled applicator that comes with the set, I just started dabbing spots of black along the sides at the roofline and drawing them down to the bottom of the sides. I applied slightly thicker amounts on panel seams and areas that I thought would get dirtier such as the doors and handles/ladders. I applied some rust coloured pastel to the springs and one truck and finished off by giving a coat of DullCote over the pastels. I was pleasantly surprised to see that the DullCote did not seem to tone down or disappear these pastels as it often does with other powders etc. 10 minutes at most and this is the result.